Biome Digital is pleased to present the first release in a new series called ‘Analogue Drum Computer’. 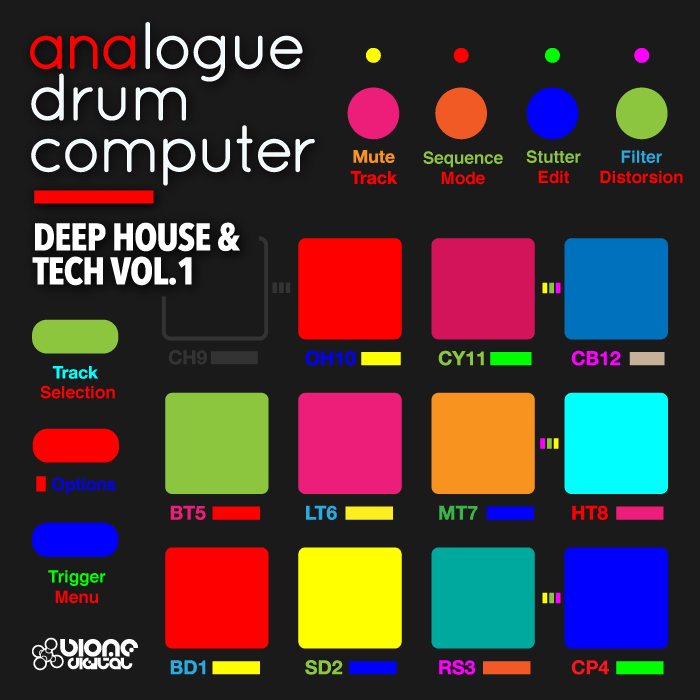 Deep House and Tech Vol.1 features the highest quality, production ready, pounding drum & percussion loops made on an Elektron Analog Rytm! Also included are gritty chord and fx loops, shuffling hat loops, thunderous kick loops and analogue hardware bass loops. All drum loops have been sent through the Analog Rytms distortion and compressor circuits for loops that really pump!